I am the founder of Tito, a web application for conference organisers and other event organisers to sell tickets online. Tito was started as a side-project in 2012, and had its first customer in 2013 with Horace Dediu using it for his Asymconf. Horace is Tito’s oldest customer, and continues to use Tito to power ticket sales for Airshow. Tito has grown every year since and in 2015 transitioned into a small, sustainable business, selling tickets for 100s of events worldwide, and employing ten full time staff members from an office in Dublin, Ireland, including co-founder Doc Parsons and developer Cillian O’Ruanaidh.  I am co-founder and co-curator of Úll, a conference about building great products, heavily inspired by Apple. After the success of Funconf, I recognised that several of the speakers had close ties to the Apple development community, so I decided to setup a conference about the greatest company in the world, partnering with Dermot Daly. Thanks to the persuasive talents of Michael Lopp, we convinced John Gruber to attend the first Úll as the secret “one more thing” keynote, in its first year. John has attended every year since to deliver his “Grubernote”, albeit in telepresence form in 2015 due to eye-surgery which denied him from being able to fly. Úll is now a highlight of the annual conference season amongst the Apple community, and it has positioned itself as one of the leading experience-driven conferences in the world. After a school highlight of winning a Leinster Schools Junior Cup Final, and playing music in a rather over-hopeful teenage band, I spent most of my time making student films whilst earning a degree in philosophy and political science in Trinity College Dublin. Having spent many years teaching myself to program (mainly to build a website for the ill-fated teen band), my first break out of college was to re-implement the eCommerce system that Easons used. All orders on that site still pass through an ordering system I built for them in 2011. I spent a brief stint in 2008/2009 as co-founder of Contrast, with Eoghan McCabe and Des Traynor (who later formed Intercom) and David Rice, now CTO of Rumble Labs. Creative differences drove us apart, but I learned a lot in those 18 months. It should be noted that Contrast was formed while we still worked in TL01, a co-working space set up by myself and Eamon Leonard. After I left Contrast, Eamo and I ran Funconf together for 3 years. Funconf forged many strong relationships, and I’m so proud of some of the amazing folks that we invited to come to Ireland. Whilst planning the next big thing, also after Contrast, I worked as a contractor for Engine Yard, and formed Hyper Tiny, with Brian Flanagan. In late 2012, Brian left to pursue a career with Neo. After a very brief stint attempting to work with Paddy Cosgrave on event software (it seemed like a good idea at the time), I got in touch with Doc Parsons and we’ve been building Tito slowly ever since. During the second Úll, I ran Brio with Adam Brault. We didn’t run the conference again in 2014, but I would love to run it again. In December of 2013, I married my beautiful wife Ciara. We live together in Dublin.